Oh, the places you’ll go! The worlds you will visit! The friends you will know! Yes, learning to read is certainly important but how children learn to read is just as important. Consider that no other single experience brings us into other people’s lives and simultaneously holds up a mirror to our own in the way that a book does. Stories are fundamentally tied to our self-identity and empathy for and understanding of others. The forces of good and evil battle it out daily after school in our living room. I watch as, time and again, my now seven-year-old son recreates and reinvents stories with his beloved Star Wars characters and his favorite plot lines. 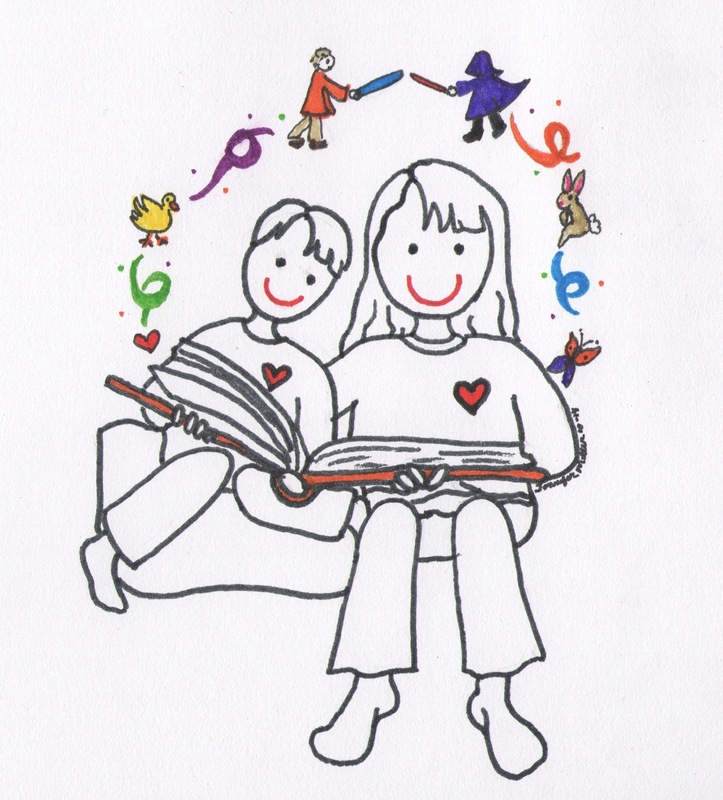 Stories play a central role in the formation of children’s moral development. Readers follow a protagonist through epic journeys and cringe as they are injured or fail in their pursuits. But, in children’s books, the protagonist never gives up. Most often on the side of what is right and good, poetic justice reigns and in the end, evil is overcome. We empathize with complex characters who are required to make choices in the midst of uncertain times and circumstances. In the best literature, questions are asked and left unanswered for the thoughtful reader to consider. “Why did she leave her family? Was it the right thing to do?” This “meaning making” is what brings the rush of joy and connection and desire for more. It fuels our imagination. It expands our minds to think creatively. Our emotional and cognitive intelligence is challenged and we are required to think for ourselves. In addition, stories allow us to take the perspective of another in a deeply personal way. We read their private thoughts. We understand their values and the back story that shaped them. And we watch as they choose behaviors that either reflect or fight against their beliefs and self-concept. We root for the hero because we become the hero for the time that we are immersed in his story. We come to know and understand other cultures through the vicarious experience of living another’s life. Though educators know that there are a combination of exercises, skills and experiences that will develop a reader, no one really knows what precise combination of working on rhyming, phonics, vocabulary and comprehension will bring about proficiency. In fact, it’s different for every learner. But certainly, key ingredients in the success formula must be the connection felt between readers sharing a story and those individuals and the book characters. In other words, fundamental to reading success is a focus on children’s social and emotional development. Parents can worry less about influencing their children’s technical abilities and instead, dive into the shared joy and adventure of reading with their children. Share oral stories with one another. Use books without words and create stories together. Visit the library and encourage your children to explore subjects and stories that intrigue them. Ask questions about characters and leave them open-ended for discussion. “Why do you think he made that decision?” Predict outcomes. “What do you think will happen next?” Never miss a day of reading with your child. Bedtime is a perfect opportunity to snuggle together and feel the power of story wash over you. We, as parents, have the opportunity to balance out the pressures that kids often feel at school to learn the mechanics. Our role can be to give them the joy of reading. Doing this together as a family can be the most valuable way to show a child the role story can play in connecting to others and shaping and enriching a life. Excellent! Thanks so much for sharing, Edward! I’d be interested to hear more about the parent coaching process used! I’d love to learn more!! !